The world doesn’t need another- I could say that the sole reason- Is quintessentially in what art is when fully distilled to it’s most volatile- “Unnecessary”. Perhaps the choice is symbolic- Homage to, and a weapon against, the daemons that possess my mind, body and soul- Most likely it’s: Pointless; Frivolous; Self-indulgence. Calling it art sounds less obscene. Perhaps calling it a niche that begs to be filled is a lie, but it’s certainly a desirable one. The lie as much or more than the niche. The game more than the void. I create to make. I make to create. And I love what I do. 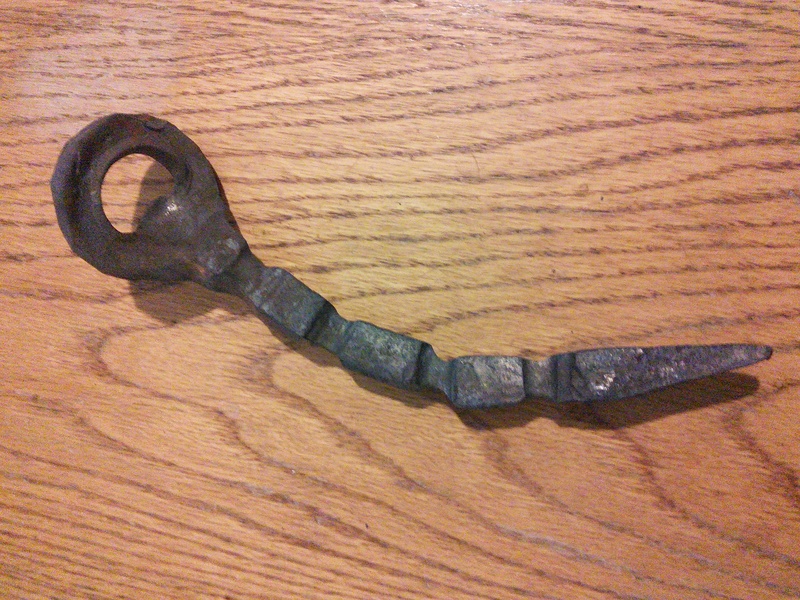 A Preview of an Upcoming Forged-Art Bottle Opener. It is why writers. The world doesn’t need another book, but the writer needs to write and create. Interesting bottle opener, reminds me of the tail of a scorpion.